Make memories you’ll be talking about for years to come! 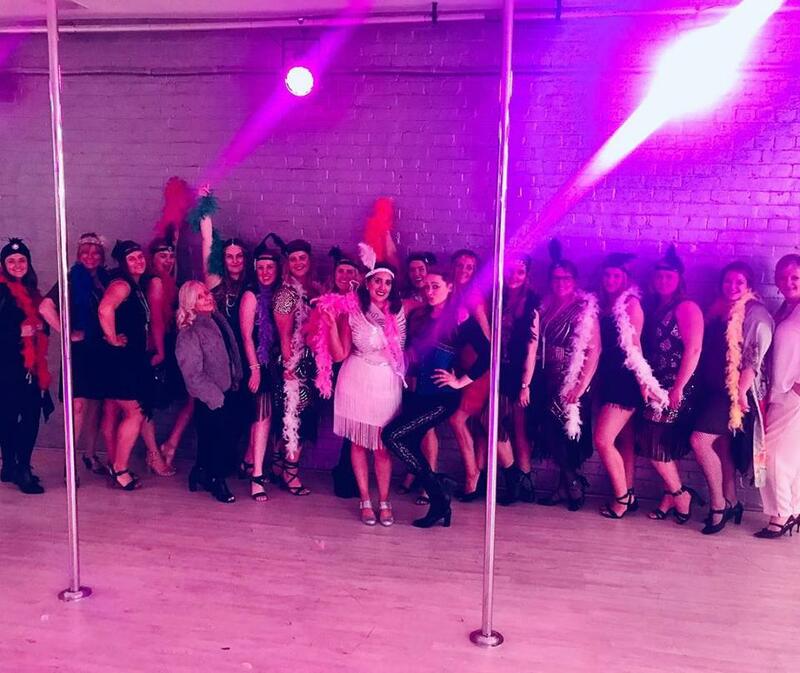 Hens parties, birthdays, work break ups, team building or just a fun night out, we can customise the perfect party for your group for Pole, Burlesque or both! Mixed pole fitness workshops for guys and girls are also available. We can work with your group numbers, budget and style of event to make sure you have the most exciting and memorable time possible. For a fun, safe and colourful way to celebrate your special day or night, contact the studio for more info and a quote. If you would like to celebrate in the comfort of your own home or venue, then we can come to you! We can even bring a pole. One of our ladies will arrive with all the accessories you will need to get the party started for either a 1 hour or 90 minute Burlesque workshop. Contact us for full details and a quote for your next group event.